I've been wanting to take a photo of earthshine for a long time, and tonight was my first chance! 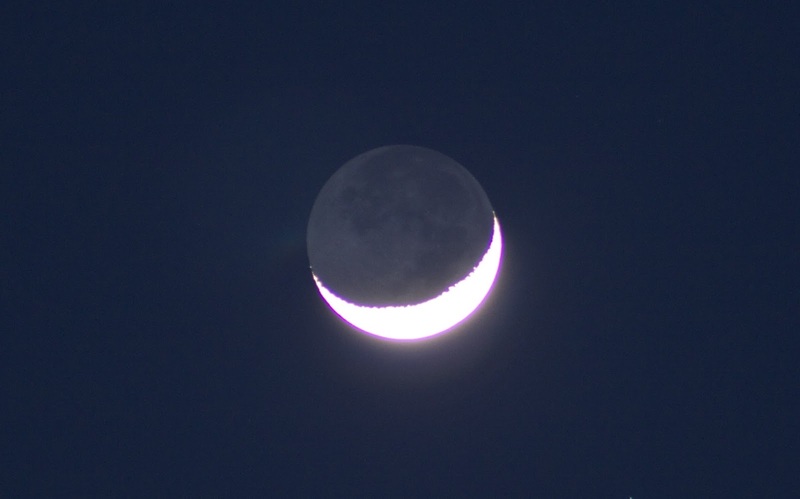 Earthshine is light from the sun reflecting off the Earth to light up the part of the moon not lit directly by the sun. Sun > Earth > Moon > Earth > Camera. 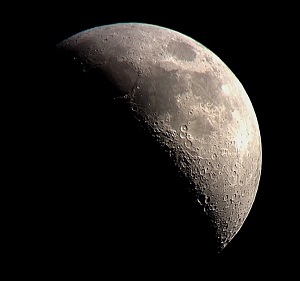 It stands to reason that other conditions can increase the amount of earthshine on the moon, such as snow cover, reflective clouds, or maybe even the Atlantic Ocean.